The Rebel Alliance contains a mean bunch of people. They blew up two Death Stars without any care what effect that it would have on others. What the Rebels didn't seem to think about is how expensive Death Stars are. Finding intergalactic contractors to take on such a job takes a lot of space credits and really puts a burden on the Imperial budget. To make up for the losses the Empire has cut the costs in Stormtrooper armor. No longer are full suits given out but instead new recruits are given comfortable shirts with helmet masks. By doing this the Empire hopes to have a brand new Emperor Palpatine Memorial Death Star made in just a few years. 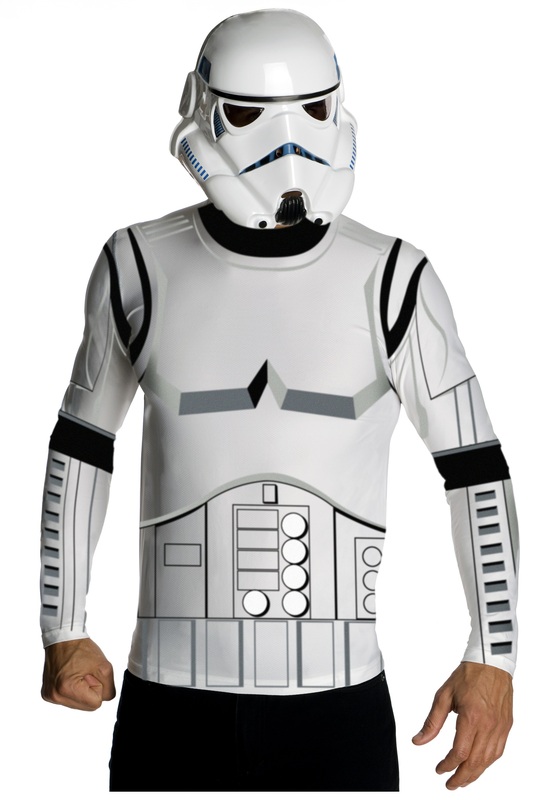 You can look like the newest version of the troopers with this easy set. Don't think of it as a downgrade, think of it as the newest style!